A video probe is disclosed herein that includes an elongated probe including an articulating portion, and a controller functionally coupled with the elongated probe. The articulating portion may include at least two interconnected links and each link may include opposing electromagnetic coils disposed within the link. The controller may be configured to stimulate the opposing electromagnetic coils to attract/repulse corresponding opposing electromagnetic coils of an adjoining link thereby causing the link to pivot about the axis of the single-axis joint. 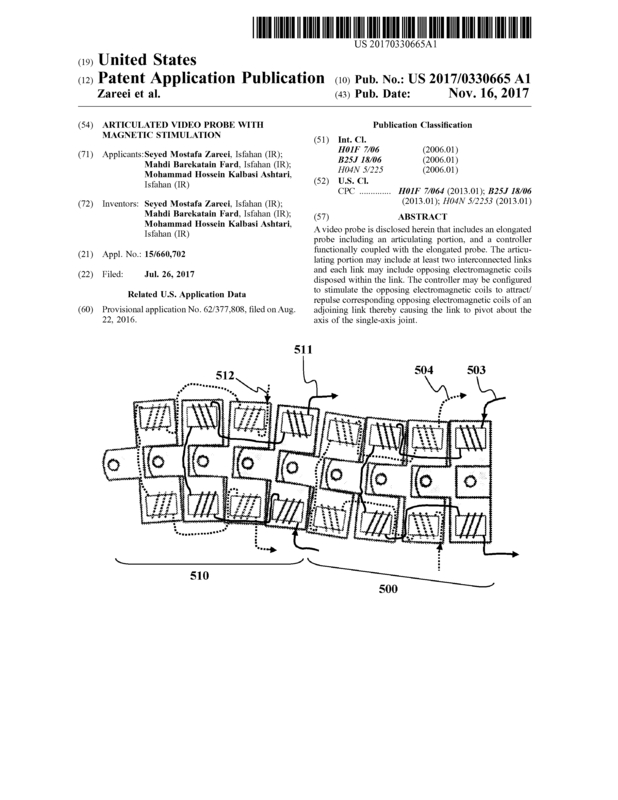 Page created at 2019-04-26 5:57:46, Patent Auction Time.